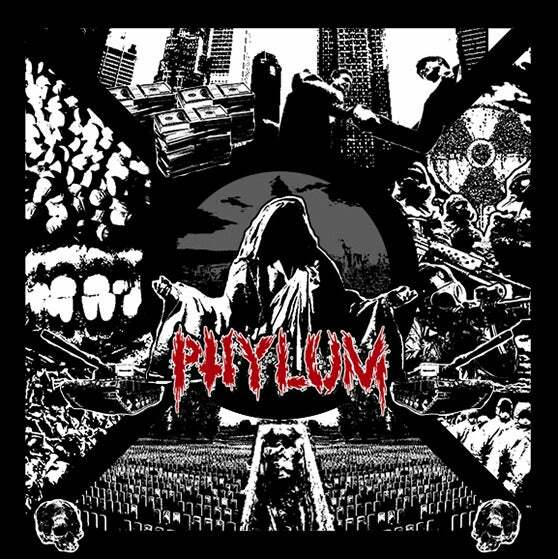 PhylumGrind — PHYLUM 'DIVISIONS' EP 7"
Brand new 'DIVISIONS' EP on 7" vinyl! Hot off the press! Pro-printed double-sided full color sleeves! Released by Hygiene Records, Hash Crimes, and DIY Noise! 300 copies total: 200 random color, 100 black. Though most, if not all, of the random color copies are a red/black-ish mix! Limited amount so get it while you can!! Will also come with some extra goodies!! Grind your spine!! **International orders contact us for shipping price.